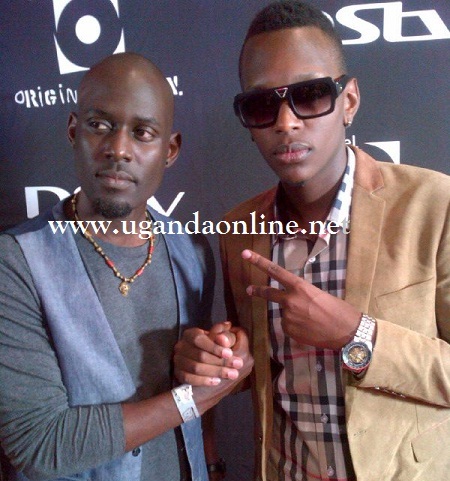 Keko, Navio, Tonix and Maurice Kirya were the Ugandan artistes nominated in the 9th Annual Channel O Music Video Awards (CHOMVA) 2012. The main event was held in Soweto on Saturday Night with 53 countries watching live on DSTV Ch 320. Most Gifted African East Video of the Year was taken by Tanzania's AY. Our very own female rapper Keko and Navio lost out on this one. Most Gifted Female Video of the Year - went to Zahara, 'Loliwe' beating Keko and a few others. Most Gifted Afro Pop Video of the Year - Was taken by Ashimi Olawale aka Brymo from Nigeria making it hard for our very own Maurice Kirya and Tonix to bring this home. Other winners of the night were P-Square who took the award of Most Gifted Duo of the Year, DJ Cleo with his 'Facebook' hit taking the Most Gifted Dance Video of the Year. Most Gifted Video of the year was 'Oliver Twist' by D-Banj which also took the main award of the night, Music Video of the Year. In his acceptance speech, DBanj said: "A big thank you to Africa, make some noise and put your hands up if you believe it's our time to shine, I'm DBanj a good thank you to our parents.."